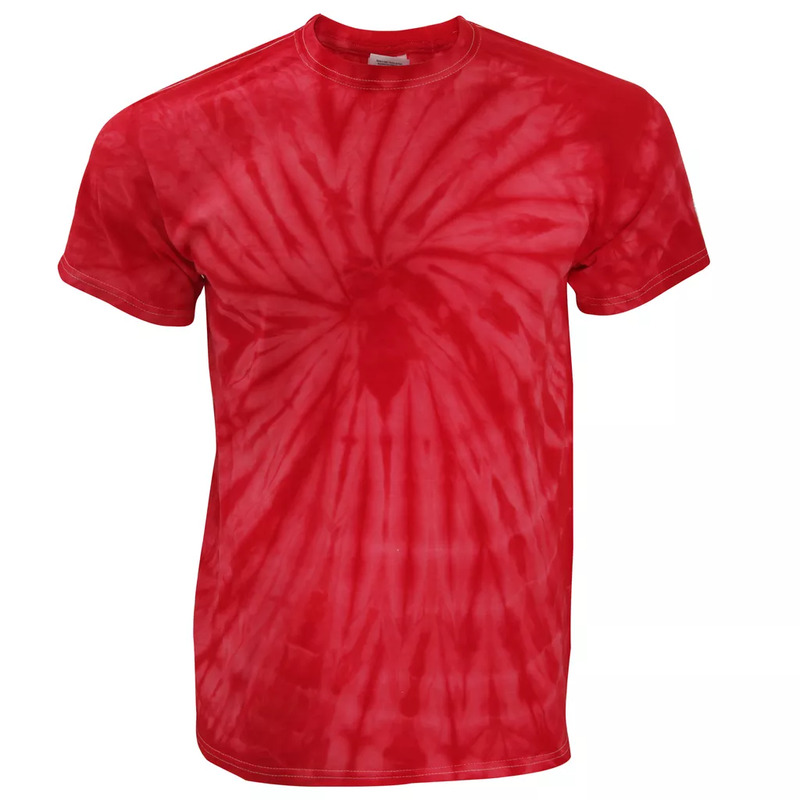 Modern take on a classic tie-dye pattern is brilliant alone but with give your print extra pizazz. Double needle stitched neckline and sleeves. Hand dyed with superior colourfasteness. Plain T-Shirt used is the Gildan 5000. Due to dye process patterns may vary slightly. Garment sizing may shrink slightly due to the dye process. Size: 2XL (Chest To Fit (ins): 50-52). Size: L (Chest To Fit (ins): 42-44). Size: M (Chest To Fit (ins): 38-40). Size: S (Chest To Fit (ins): 34-36). Size: XL (Chest To Fit (ins): 46-48).